Kawasaki is going full throttle with new launches in India this year. After getting the new Ninja 1000, Z900 and the supersport ZX-10RR, the Japanese motorcycle manufacturer has now launched the updated KX250F. The off-road and track-only machine is priced at Rs 7.52 lakh which is approximately Rs 38,000 more than the previous model. 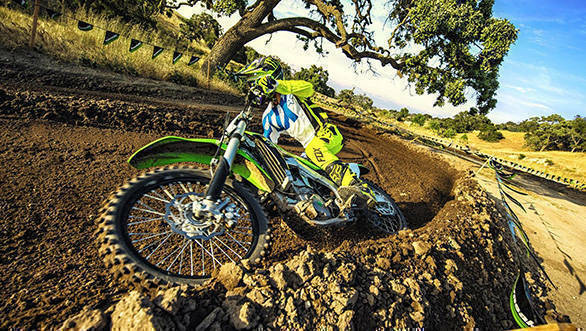 The 2018 Kawasaki KX250F gets an updated 249cc motor with improved power and torque delivery throughout the rev range. This has been achieved with the help of a new throttle body and fuel injector angle. Kawasaki also states that the intake design has been tweaked with a shorter funnel along with a redesigned duct. The intake valve timing too has been improved. There is also a new fuel pump with more precision in injection that claims to have improved the performance of the machine. Further, the engineers have tweaked the fuel injection and the ECU system. The rider can choose from three different engine maps - standard, hard and soft. In addition, one can get the KX FI calibration kit that offers up to seven customisable engine maps. The exhaust header too has grown in size and is also longer to offer a higher torque output. There is also a change in the suspension set-up of the 2018 Kawasaki KX250F. The front comes with a revised Showa 48mm Separate Function Front Forks where in the damping settings are in the left fork and the spring on the right fork. The rear uses revised setting of the Uni-Tral Showa shock. Saying that, the new KX250F retains the lightweight perimeter aluminium frame that was seen on the previous iteration. Lastly, the 2018 Kawasaki KX250F comes with KX Launch Control. It delays the ignition timing to activate a different engine map, helping the tyres to gain grip on low-traction situations. The Launch Control model remains active in first and second gears. 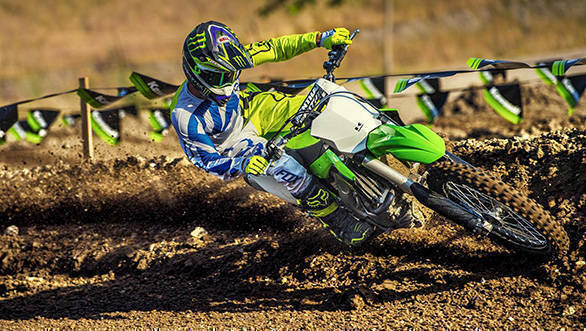 The 2018 Kawasaki KX250F arrives in India through the CBU route. Due to the recently announced GST structure, this off-road machine attracts one per cent additional cess justifying the price rise. 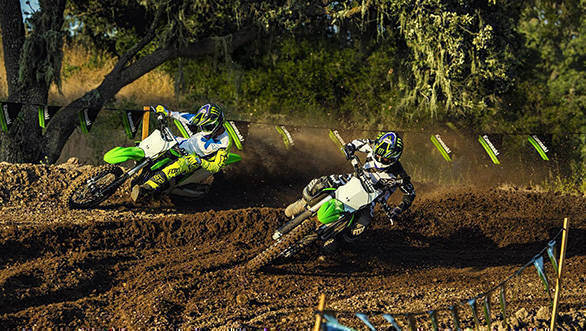 Stay tuned to OVERDRIVE as we bring more updates on the 2018 Kawasaki KX250F.